It seems like ages ago now we were watching Russia drub Saudi Arabia in the opening match of this World Cup. So much has happened in the past month to get us to this point. 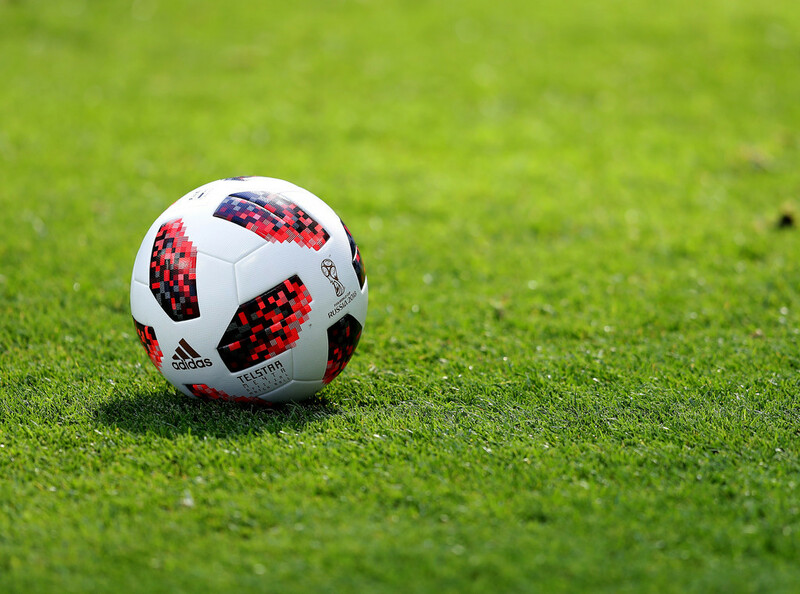 It’s been referred to by some in the media and even the FIFA head Gianni Infantino as the best World Cup ever, and there’s certainly been no lack of on pitch drama. Now we arrive at the final, having left behind so much: Ronaldo hat tricks, the defending champs crashing out, tense final moments in tied groups, dancing Colombians, crying Uruguayans, boisterous Englishmen, engaged Russians, and ecstatic Panamanians (among others). It was coming home, until all of a sudden it wasn’t. And a golden generation bowed out one match from the final. France and Croatia are prepared to do battle on the sport’s biggest stage. Both squads have gone through the ringer to get here, and this matchup is defined by the similarities in their strengths as much as the differences in how they apply them. Fans and pundits alike have spent quite a bit of time lamenting Didier Deschamps and the style the French play with. No matter how much we wish France had awed us with open expansive play, you can’t argue with the results the pragmatic approach has delivered. France is a defensive juggernaut, and they play like a team who is worried they don’t have quality in attack. Of course, they just so happen to boast some of the most dangerous attackers in the competition as well. Antoine Griezmann is very familiar with this style of play; after all, it’s the approach that has made his club team Atletico Madrid so successful under Diego Simeone. The French back line hasn’t just been solid; it’s been nigh on impregnable outside of an aberration against the Argentines. Look no further for an example than the semifinal versus Belgium. Romelu Lukaku has been the most effective striker in the tournament, and has shown off much of the growth and maturity which has allowed his game to step forward however against the French he was non-existent, wiped out by a lack of service caused by a thick French defense starting from midfield PLUS a thorough man marking job from Rafa Varane, the best defender at this tournament. A complete non-factor thanks to the sturdiness of this French back line. I’ve made the argument time and time again that Deschamps could utilize this squad in a much more fluid attack and still have a suffocating defensive strategy to boot. It’s an approach that, in my opinion, would take France from a very good team to far and away the world’s best and maybe even a legendary side for the ages. By playing to Deschamps demands and much in the mold of what the manager was as a player, this team has essentially lowered their ceiling and made it much easier for lower level opposition to take advantage. They won’t light up the scoreboard in most matches, making it much more likely they’re caught by a squad scoring a lucky goal against the run of play. The thing is, that hasn’t happened. At all. The World Cup is certainly a small sample size, but no team has been able to capitalize on France’s unwillingness to open the game. Sure their ceiling is lower, but the ceiling for France is still World Cup winners. That’s pretty damn good. There are two main factors which have prevented opponents from capitalizing on this low variance strategy of France. The first is France being efficient with the chances they get. Kylian Mbappe went wild against Argentina and showed why he’s garnering recognition as the world’s next big soccer star. His combination of speed and end product makes him an absolute menace against squads who are forced to pour forward in order to try to break down France’s defense. Griezmann is no slouch either. He hasn’t lit up the score sheet but he’s remained dangerous with the ball at his feet and puts immense pressure on the defense when he starts crashing forward. The man who’s garnered the most criticism is target man Olivier Giroud, who has yet to find the back of the net this tournament. Nevertheless, his hold up play and his ability to occupy center backs has kept this attack moving smoothly. He’ll continue to get his chances, and you’d think he’s good for a timely goal. But even if he doesn’t score, he remains an irreplaceable part of what’s driven France’s success in the tournament. Let’s also not ignore Les Bleus effectiveness on set pieces. We’ve seen in this tournament how valuable set pieces can be. 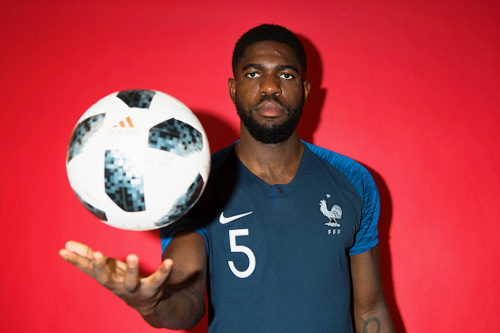 Both Varane and Samuel Umtiti have converted crucial goals with their heads, allowing France to sit back and wait for their opponents to come at them rather than need to press forward themselves. The other aspect of France that has pushed them this far is their midfield, Paul Pogba and N’golo Kante specifically. Before the tournament, I suggested that Kante’s ability to control wide swathes of the field in front of the defense would free Paul Pogba to be at his best, something he’s often unable to do at the club level. This has essentially held true. Kante has been incredible as always. He really does the work of two men, and his unstoppable drive allows him to make plays for the full 90 minutes when other players have trailed off. Putting him in front of this back four and Hugo Lloris– who is having a fine tournament himself – is nearly unfair. His chase down and tackle of a free-running Kevin De Bruyne in the semifinal was a perfect example of how Kante erases chances before they even start. It’s completely unlocked Pogba. His stats are not impressive – his one goal was turned to an own goal – but he’s been the key driving force in the midfield for France, absolutely bossing whoever he is up against. He’s made big tackles to key counter attacks, passed his attackers open time after time, and mostly just wrought havoc with his runs from deep in his half right into the heart of opposing defense, proper box to box style. No midfield has been able to cope with this pair. Its France’s biggest strength but in this game they are matched by their opponents. While the major strength for both France and Croatia is in the center of the park, the way both teams use it is highly dissimilar. A Croatian team featuring Luka Modric, Ivan Rakitic, and a rotating third of Marcelo Brozovic, Mateo Kovacic, and Andrej Kramaric, can make a strong case as the best midfield in the tournament themselves. You’d expect them to dominate possession in the middle of the park as a way to spring their attack. That’s been partially correct. Modric and Rakitic have been at their best in this tournament, and especially in Modric’s case, have gone from unheralded yet role player on their club sides to genuine international soccer hero. Modric has a real case to win the golden ball, but this team doesn’t often build their attack from the middle like you’d think. Rather, it’s where they set the tempo and feed the ball to their wingers. Nowhere has the composure of this midfield been more apparent than in the semis against England. England made it to the semis without a midfielder capable of stringing passes together. They played with two run-making attacking mids – Dele Alli and Jesse Lingard – and one horizontal passing defensive mid – Jordan Henderson (who is more suited to central midfield anyway) – essentially bypassing the central midfield completely. In the second half of the semifinal, Croatia just started dominating from the center. For the first 30 minutes of the half, England couldn’t get a touch on the ball to bring it out of their defensive zone. It eventually it forced Harry Kane – the best #9 in the world – to drop deep and pick up the ball like a central midfielder. It spelled doom for England, and now it’s not coming home. In spite of the extra miles on the Croatian legs, Modric and Rakitic did whatever they wanted. As the match went on, they only got stronger. Both players work like a savvy veteran point guard in basketball; slow things down, keep everyone focused on the offensive strategy, and pick the right pass every time. It was a virtuoso performance that’s put the small nation in the finals. When it comes time to actually score goals, the Croatian strategy has been inefficient at best. 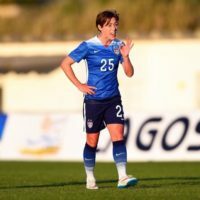 There are a lot of strategies teams can employ when trying to score, but crossing the ball in from out wide is one of the least effective means of creating quality chances. It is also coincidentally the plan Croatia has employed in the World Cup. Croatia has decided that they can overcome any inefficiencies by just sending in as many of them as possible. Quantity over quality! Until the 68th minute of their match against England, Croatia had yet to complete a single cross. And then they did. Their first completed cross of the match gave them their first goal, as Ivan Perisic lifted his foot above the struggling Kyle Walker to even the match. They ended up attempting 41 crosses in the match and completed only 3! One of the crosses they failed to complete ended up gifting them a second goal, as a bungled cross was sent back in to find the waiting feet of the ever present Mario Mandzukic. Croatia has attempted 105 crosses in the knockout rounds, including 79 over the past two matches. This is the Croatian attack. Step one: get the ball wide. Step two: cross it in. Step three: ???. Step 4: Profit! Regardless of how seemingly inefficient it may be, Croatia will continue to use the wings to get the ball in for scoring opportunities. They have quality out wide in wingers Perisic and Ante Rebic as well as fullbacks Strinic and Vrsaljko. There’s no reason to believe we won’t see more of the same in finals. So we know how we got here, but what happens next? France is favored, but Croatia has been underestimated the entire way. In spite of the fact that Croatia has played an extra 90 minutes of soccer over the course of the knockout rounds, they just seem to get stronger as matches wear on. I’d still be worried about picking them to upset France in the final. The miles are beginning to really rack of for the Croatians. Modric had to come off late against England and was completely spent. Mandzukic took a shot late from Jordan Pickford, and while he may have been embellishing to burn some clock, he was hurting late as well for the second straight match. Fullback Ivan Strinic has needed to be subbed off hobbling in each of the three knockout round matches. And that doesn’t even take into account that Keeper Danijel Subasic is nursing a hamstring injury and was clearly affected by it against England. Oh, and they have one less day off than France, who only have Blaise Matuidi to worry them on the injury front. Even at full health, beating France is a tall task. The two teams have a strong midfield that will attack each other in different ways, and should essentially cancel out. If you look at Croatia’s attack though, you have to be concerned with how they’ll score using their current strategy. Benjamin Pavard and Lucas Hernandez have been excellent as wide defenders for France, plus Matuidi and Kante will assist in closing down the players likely to send in crosses. Varane and Umtiti are much more consistent clearing crosses than any of the defenses Croatia has seen yet this tournament. Mandzukic has an endless motor, but those two aren’t going to switch off. And then you still have to beat Lloris, who is among the favorites for the Golden Gloves. France is a clear favorite here. Expect Croatia to try and play the ball in from wide, but expect them to really struggle and adjust their strategy late. One scenario that intrigues me is if France goes down late in the match. Deschamps’ boys have no problem playing a nil-nil draw into the late stages of the match. They’ll pick their spots and will be confident quality chances will come. They aren’t going to be drawn out of their strategy unless they absolutely have to. If the match is at a stalemate until the 70th minute or so and Croatia is able to nick a goal, France could be in major trouble. We know they have the attacking players to break down any defense, but will they be able to flip the switch that late in the match and break through? If I’m a France supporter, I’m much more concerned by a potential late goal than I am of an early one. Croatia scoring fast will allow France to slowly ramp up, and eventually impose their will, but they’re not equipped to play from behind and pour players forward late on. That being said, I don’t expect France to trail in this match at all. Croatia has made it to the final through a strong midfield presence and sheer force of will. But France has frustrated some of the world’s best attackers in this tournament, and shouldn’t be bothered by the way Croatia chooses to play. They’ll pick their spots to get forward and strangle the Croatian attack before it can really get going. France wins this one 2-0 in a match that doesn’t ever really feel close. 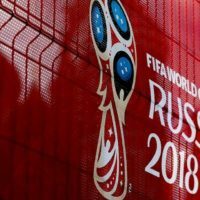 In a tournament that was rife with upsets all the way through, one of the favorite’s ends up taking the silverware and adding a second World Cup star to their badge. Vive La France and it’s time to start counting down to Qatar 2022!